I am not a vegan. However, I admire the commitment of those who lead a vegan lifestyle. I know some of you lovelies are vegan and are always looking for beauty companies that are vegan and cruelty-free. 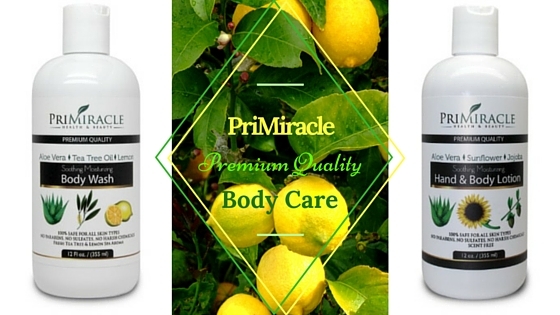 I am working with a natural beauty company called PriMiracle to review four of their five natural beauty products. Even if you are not a vegan, like me, you can totally appreciate that the products I reviewed contain no harsh chemicals, are SLS-free, paraben-free, have no artificial fragrance, and are dye-free. This review is being broken down into two parts. 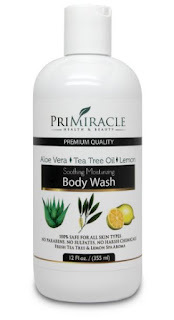 Part one is about the PriMiracle body care products. Part two will feature the hair care items I tested. 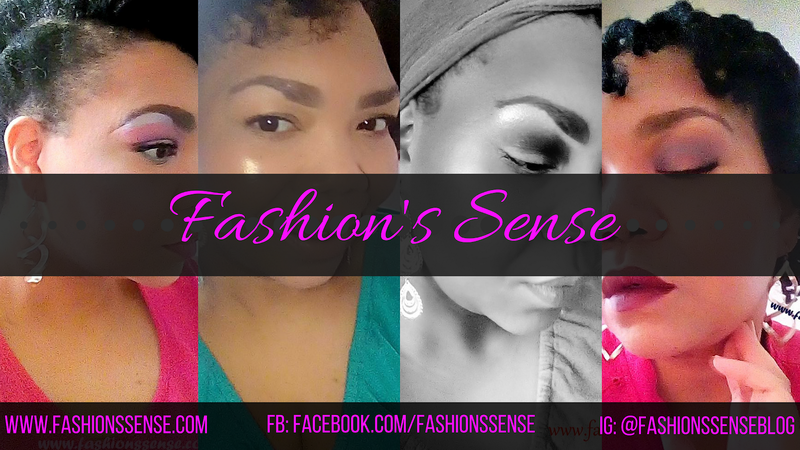 I know some of you just want the quick details, so you can scroll down to the bottom and watch the video about the PriMiracle products I am reviewing in this post. It gives quick stats and an example of how well the lotion moisturizes. PriMiracle is a small company that offers a handful of beauty products sold on Amazon.com. All products are made in the USA and are not tested on animals. PriMiracle believes in providing good quality, natural products that are free of sulfates, parabens, and harsh chemicals. "We use nature's finest ingredients to provide our customers with products that cleanse, nourish and restore skin and hair." I started out using this for a week. My initial impression is that I like the packaging. It is simple and gives the feel of something that is pure. I am all about the scent of a product. This, along with two other PriMiracle products I've used, have a light smell that is imparted from the essential oil ingredients for each product. The body wash has a light, herbal citrus scent. This is due to the tea tree, eucalyptus, lavender, and lemon tea tree oils. The body wash is a gel formula that is clear. It gives a good lather using just a little bit of product. After my initial bath using this body wash, my skin felt clean and not tight. Something interesting I noticed was that a few bug bites I had on my arm seemed to improve in appearance afterwards. After two days of using the wash, those bug bite marks were gone. I love the gentle cleansing this body wash gives me. Even more so is I love that the light herbal citrus scent does not linger on my skin. This is important if you like to were perfume or are sensitive to fragrance. I am a bath oil gal. I love me some after bath oil on my wet skin to lock in moisture. 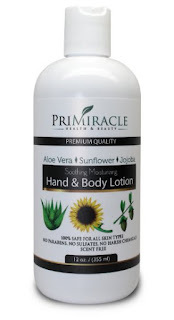 Since I was testing the PriMiracle Hand & Body Lotion, I had to forgo my bath oil so I could gauge how effective this product truly is. The packaging is the same as the body wash. The lotion is fragrance-free, white, and the texture of it reminded me of dollar store lotion. So I was convinced that I would be reapplying this lotion to my skin throughout the day. When I applied it to my skin, it still reminded me of how the dollar store lotions went on. It did not thin out as quickly as the lotions I typically use do. You do have to rub it in a few seconds longer. After it settled in for a minute, I noticed a slight sheen to my skin and my skin felt soft. I still wasn't convinced though. A few hours went by and I needed to reapply to my hands after washing them. Before I did this I did the scratch test. You know when your skin is dry, if you scratch it, you will see white streaks where you scratched because those dry, dead skin cells are coming up. Surprisingly, the lotion passed the scratch test. I only needed to reapply to my hands after washing them. The lotion has consistently worked this way ever since. I think this is due to the sunflower oil, jojoba oil, and Shea butter. I have to admit, I did not think these two products would work as well as some of the more popular natural and vegan brands. The body wash and lotion cost under $25 each. They are so gentle and soothing to skin. For my perfume-loving lovelies, there will be no clashing of scents. 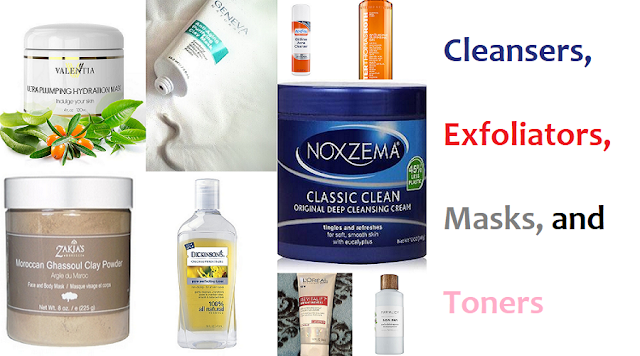 The scent of the body wash does not linger on skin and the lotion is fragrance-free. I was so happy about that because I could wear my YSL Black Opium without worrying about another scent messing with the ambiance. This is just part one of my PriMiracle review. In Part Two I will be giving you my experience using the Professional Line Shampoo and Conditioner.